Solution distribution from brush center avoids solution wastes. · Self-levelling electronic system for an always perfect adherence between brush and floor. Three Star Engineering Pvt. Ltd.
No tangling cables, makes operation in public areas much convenient and accident free. Higher capacity strong batteries for uninterrupted usage of 2½ to 3 hours. The Simpla is a manoeuvrable battery-powered scrubber drier, suitable for maintenance and thorough cleaning of small to medium sized areas. It can scrub and dry up to 2275 sq m/h. Kshara sutra available for sale. Used in anoreactal surgeries. Please contact us if interested. • Aman cleaning launches new Mini Ride-on Scrubber Drier model A12 Rider of lavorwash Italy. A12 is designed for the maintenance and deep cleaning of large areas (up to 3200sqm) with a very important reduction of cleaning cost. 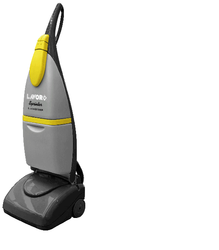 Very compact size and great maneuverability like walk behind models suited for maintenance cleaning. With the help of our expert team members, we have been able to offer a wide range of Ride On Scrubber Drier. These are available with us in various models and technical specifications as per the exact demands and requirements of clients. Our clients can avail these devices at market leading prices. 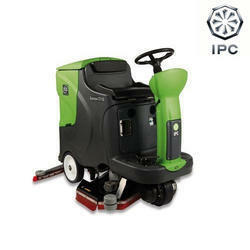 We are largest supplier and importer of Auto Scrubber Dryer Machine. No of batteries: 2 nos.